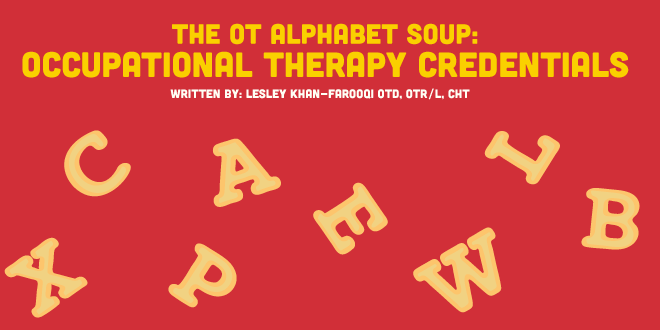 Have you ever wondered what all of those occupational therapy credentials behind a signature stood for? Well, we are going to break it down for you. With the amazing, ever-growing, expansive field of occupational therapy, there are many routes to take. Often times, occupational therapy credentials and certifications demonstrate an expertise in a certain area of practice or treatment modality. These credentials are a way to show that you have demonstrated the above and beyond skills through years of clinical practice, successfully passing a certification exam, or demonstrated a skilled treatment that defines you in the field of occupational therapy.